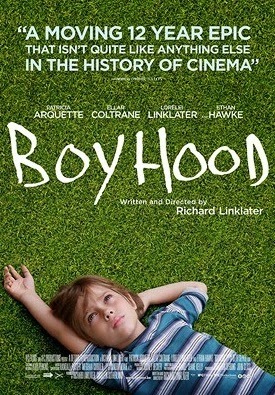 Boyhood is an unusual film by Richard Linklater. It’s about a boy growing up from age six to age eighteen. It is a fiction film, but the scenes were shot at intervals over a 12-year period with the same principal characters, played by the same principal actors. The focus of the film is on a boy whose name is Mason. He has an older sister, Samantha, and parents who love their children but are divorced. In the film's first half the scenes are not linked by a plot. They are about events, in almost haphazard order, of a kind that might happen to a young American boy as he grows up. So we see Mason with his mother and sister, the two children being looked after by their father when it is his turn for custody, Mason at school, Mason having to adapt to his mother’s new partner, and so on. Only in its second part does the film take on a structure that is easily recognizable as a narrative and—the film maker has this right—the narrative starts in Mason’s adolescence. It’s only in adolescence that people start to experience themselves in terms of a narrative in which they are the protagonist. The research on which this idea is based is by Dan McAdams (e.g. 1988). He proposed that people take on an identity by constructing a life story. 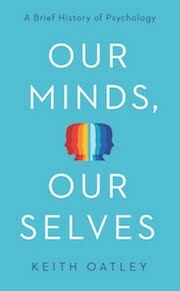 Before adolescence, although children can remember events in their lives, and although they can talk of themselves in terms of their likes and dislikes, their cognitive systems have not yet developed so that they can relate remembered events to preferences and plans in a narrative sequence. McAdams and McLean (2013) have proposed that people choose and develop their life-stories principally in conversations with others. In the film’s second half, we see Mason making choices, and relating them to himself and others in conversations. The choices people make generally involve selections from themes that are easily available in a culture. In American culture such themes include choosing a sexual partner and being successful in a career of some sort. Also, of course, people can choose counter-cultural themes such as being a druggie, being hard-done-by, being a drop-out. In the film, we are aware of such counter-cultural themes in the background. But Mason doesn’t choose from them. Mason starts the narrative sequence of his life when he is given a camera and takes up photography. It’s his first step towards developing a purpose in life. We see him becoming fascinated by photographs and working in a darkroom. He has started on his story of becoming a photographer. He has chosen the inviting theme of becoming a famous artist. It is rare that a fiction film depicts so successfully a piece of psychological research. 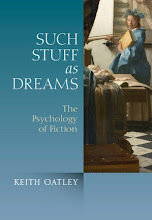 In this case, the film and the research by McAdams develop an important idea in the psychology of fiction. McAdams, D. P. (1988). 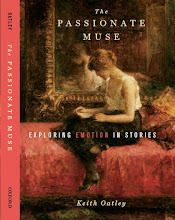 Power, intimacy, and the life story: Personological inquiries into identity. New York: Guilford. McAdams, D. P., & McLean, K. C. (2013). Narrative identity. 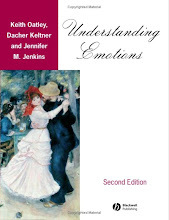 Current Directions in Psychological Science, 22, 233-238.